Which Blu-Ray DVD Player Brand To Buy In 2019 - Which? We've surveyed over a thousand Blu-ray player owners to find the Blu-ray brands you can rely on, and which you need to avoid. When you're out shopping for a new Blu-ray player, it's important to go for a reliable brand offering a product that is built to last. That's why we asked more than a thousand Blu-ray player owners what they thought of their product in terms of reliability, and to detail any issues they've had. We used that feedback to create reliability ratings for each brand. The table below contains reliability ratings and customer scores for four Blu-ray player brands. To find out which brand came out best, Which? members can log in to see the full results. Or you can join Which? 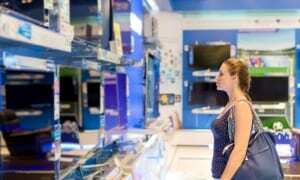 to find out how major brands Samsung, Panasonic, LG and Sony fared in our survey. 1 Ratings based on responses to a Which? member survey, 1,565 (reliability) and 1,744 (customer score), June/July 2017. 2 Reliability score is based on models purchased in the last five years. Previously owned models are also taken into account. Customer score is based on satisfaction and the likelihood of recommending the brand to a friend. Blu-ray players are one of the most reliable tech products you can buy and, according to our survey, fewer than one in 10 models experienced a fault in the first five years of ownership. When things did go wrong it was usually because of problems with the menus. Most of the brands we've rated received excellent reliability scores. The top score achieved by one of the Blu-ray player brands in our reliability survey. The brand that came bottom of our survey managed a reliability rating of 94%. That's still incredibly reliable – 92% of its players were fault-free in the first five years. It's difficult to know which brand you can rely on when browsing in your local high street store. Many of us ask friends and family about their experiences, but individual recommendations can only ever tell you so much. That's where the Which? reliability survey comes in. We amass data on tens of thousands of individual products from thousands of people so that we can determine which brands you can trust. With our help you'll be able to avoid wasting money on products that you'll have to repair or consign to the bin. We calculate a brand's reliability rating and its customer score based on the results of our regular survey. So in June/July 2017 we asked almost 10,000 Which? members about their tech products and received details of more than 30,000 individual devices. Brands that experience lots of faults, especially major ones and those that happen soon after purchase as opposed to late in the product's life, receive lower scores. This tough analysis allows us to get an accurate understanding of which are the most reliable brands. LG's range of Blu-ray players starts at around £52 for a basic player that will play your discs and goes up to an all-singing, all-dancing model with 3D, Smart TV and 4K features. 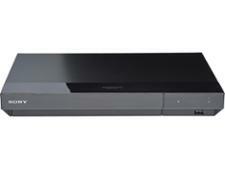 It also has a range capable of recording to Blu-ray disc, with Freeview HD built in. 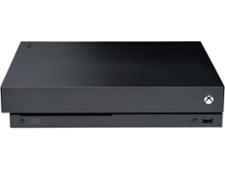 Sony captured the Blu-ray market early with the Playstation 3, which was one of the cheapest Blu-ray players available on release. 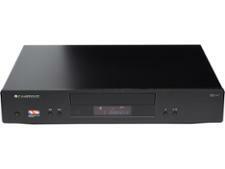 It has continued to produce Blu-ray players aimed at those on a budget, as well as those with deeper pockets. 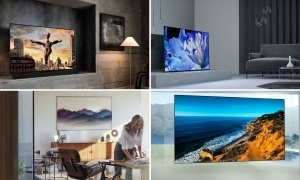 Sony's range is wide and inclusive, from the top-end models compatible with the latest 4K TVs, to the more basic models. Panasonic offers a range of Blu-ray players, from a basic model that plays your favourite Blu-ray discs, to a more advanced model that will record onto Blu-ray disc. All recent Panasonic players are Smart TV compatible, so you can access internet features including TV catch-up services. 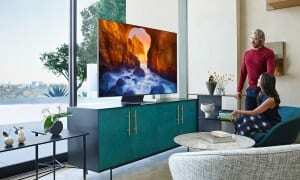 Samsung's latest range of Blu-ray players all connect to the internet to access film and TV services, and all feature a USB slot, allowing you to view your own movie files on the player. The more expensive models in the range feature built-in hard drives to record from TV, and can play 3D Blu-ray discs. Our annual reliability surveys are designed to reveal the brands you can rely on. This is combined with our extensive testing in the lab where Blu-ray players are assessed by our experts. Which? tests Blu-ray players from the biggest brands on the market and we put each one through the same tests, from setting it up to assessing picture and sound quality using the same well-known Blu-ray titles. 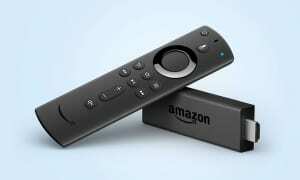 But we also check extra features, such as smart-TV apps like BBC iPlayer and Netflix, playback of CDs and files from USB media drives, and any extra features to use with mobiles and tablets. A Blu-ray player can only qualify as a Best Buy if the brand has scored at least three out of five stars for reliability. All this together gives you a clear picture of whether a Blu-ray player is worth your money. Which? is independent so you can be sure that our product recommendations are influenced only by our test results. We don't take advertising and we buy all the products that we test, so our advice helps you to make the right choice and avoid costly mistakes.